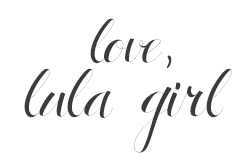 Lula Girls Blog: ORANGE YOU GLAD IT'S SUMMER? My post title is cheesy, I know. Who cares though?! This neon orange is so fun for summer I think I'm going to live in orange this season. It's no secret that I love the Amelia dress, but I especially love it in playful bright prints. Grab yours today... check out the SHOP page to find out how! I LOVE this dress but I'm having a hard time figuring out when you posted this. How long ago was this dress available through Lularoe? For a girl living in Knoxville (home of the Vols), I would love to have this in my closet. Thanks!